More and more homeowners are looking for greener building materials that are beautiful, durable and affordable. 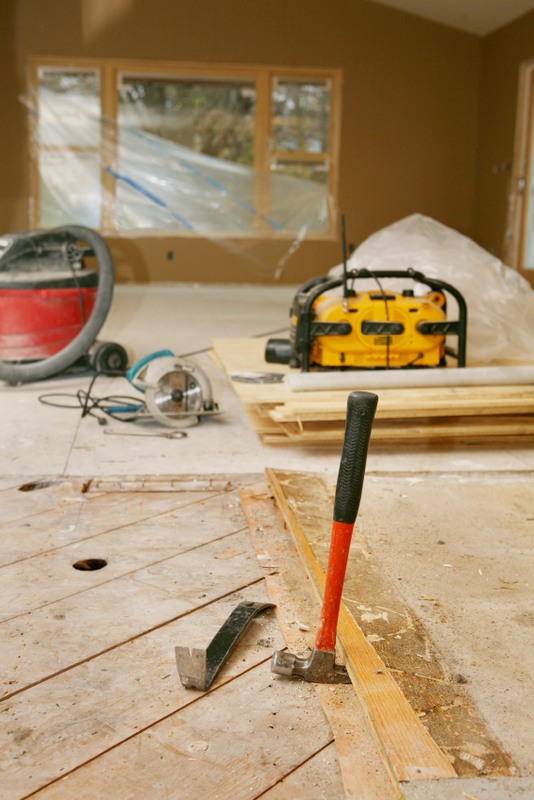 Because of this, newer eco-friendly flooring options have hit the market in the past decade. 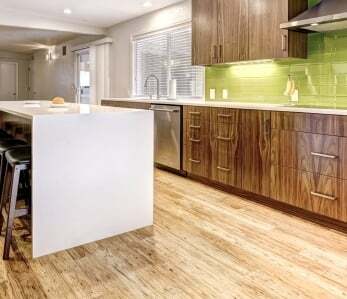 You most likely already know about bamboo flooring, which many homeowners and professional designers are turning to in an effort to be environmentally-responsible. But do you know about bamboo’s green cousin, Eucalyptus? Eucalyptus is one of the most eco-friendly materials on the planet because it grows incredibly fast, usually in as little as 3-4 years. Consider that many hardwoods take up to 50 years to regrow after harvest and you can see why it is a responsible building material. Eucalyptus strand woven floors can be twice as hard as oak. 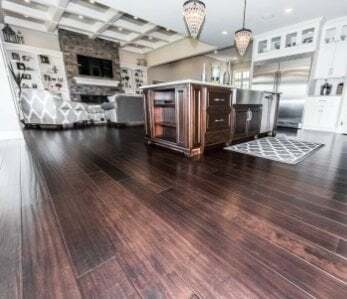 They also expand at half the rate of most hardwoods, and this makes it an ideal choice for flooring as well as other applications throughout the home. 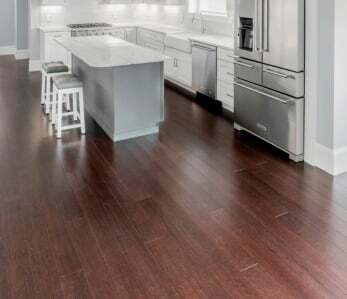 If you want floors that have the same beauty as traditional hardwoods but you want to pay a fraction of the price, then you’ll definitely want to consider Eucalyptus, which can cost around $3-$5 per square foot. Depending on how the flooring is manufactured, you have your choice of colors and styles. Solid floors are just that – long pieces of eucalyptus are milled into flooring planks. These are nowhere near as hard as strand woven eucalyptus. Both options are uniquely beautiful. is created by cutting the Eucalyptus into random-sized strips and then pressing them together using extreme force and specialized adhesives. This process creates flooring that is twice as hard as oak. Sweep or vacuum your floors weekly to remove any sand, dirt, or grit. Never let spills stand on your floors – wipe them up immediately using a dry mop or dry towel. For a more thorough cleaning, use a hardwood floor cleaner. Neve use harsh chemicals or detergents, bleach, ammonia-based cleaners, wax-based products, oil soap or acidic materials such as vinegar. Always affix felt tips to the bottom of your furniture legs and never slide heavy furniture or appliances across your floors. Use drapes, curtains and shades to limit the amount of direct sunlight (UV light) that hits your floors. Use humidifiers and dehumidifiers to maintain an optimum level of humidity between 40% and 60%. Always have doormats at each entrance so dirt and debris won’t be tracked into your house. Use area rugs but not the kind with vinyl or rubber backings, as these can trap moisture and damage your floors. Always use area rugs that are all natural and breathable. Accidents happen, so even if you are diligent about taking care of your floors you will no doubt eventually find a scratch or two. First, don’t panic, most scratches are fixable using a few different methods. If your scratch is white, then this means your finish has not been damaged and you can simply use a bit of floor cleaner to rub out the blemish. If your scratch is a bit deeper but your raw wood is not yet exposed, then some light buffing with a polish pad will do the trick. There will be those times when you may accidentally chip your floors. Should this happen, simply buy some colored wax. Look for Mohawk Fills Sticks or color Rite Caulk that will fill the blemish and greatly reduce its appearance. Now, if the damage is fairly significant you’ll most likely have to replace your board. Hopefully you ordered extra boards for such an occasion. If not, take a sample of your flooring to your local home improvement store to find a match. Refinishing your Ambient Eucalyptus floors is the same process as refinishing any hardwood floor. Though we would caution against excess sanding, particularly when dealing with floors other than solid Eucalyptus. We recommend using an aluminum oxide coating and advise seeking help from a certified flooring specialist if you are unfamiliar with the process of refinishing floors. Like traditional hardwood floors, you can expect your Eucalyptus floors to experience changes depending on the season and your local climate. 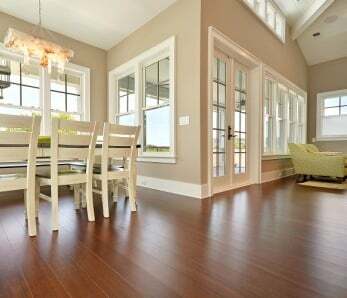 During warm, humid weather (such as in summer months for most of the country), your floor will naturally gain moisture. During low periods of humidity, such as in winter months, your floors will lose moisture. These changes, if not remediated, will cause your eucalyptus floors to expand and contract to the point where buckling and gapping may occur. By using a humidifier during winter months and a dehumidifier during wet, summer months and maintaining a consistent moisture level in your house – you will help keep your floors from warping. All of Ambient’s floors are safe for your entire family. In fact, our products are independently tested to ensure that we meet and exceed all safety standards. In addition to being safe for you, our zero VOC floors have earned FSC Pure Certification (inquire about ordering these, lead times may apply) and are also safe for the environment! 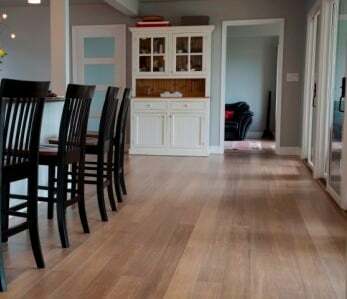 Engineered eucalyptus flooring works well in areas that are prone to high humidity and wider widths; it’s also known for its full-sawn veneer capable of multiple refinishes. If you’re still wondering whether eucalyptus floors would be a good option for your home, please feel free to – we’d be happy to answer your question.